Stephen Davis is the preeminent rock n’ roll biographer of our time. 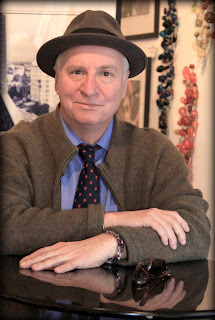 His books have focused on such iconic rock bands as Led Zeppelin, the Rolling Stones and Fleetwood Mac, to name only a few. Stay Thirsty Magazine was pleased to visit with him at his home in Massachusetts for this Conversation. 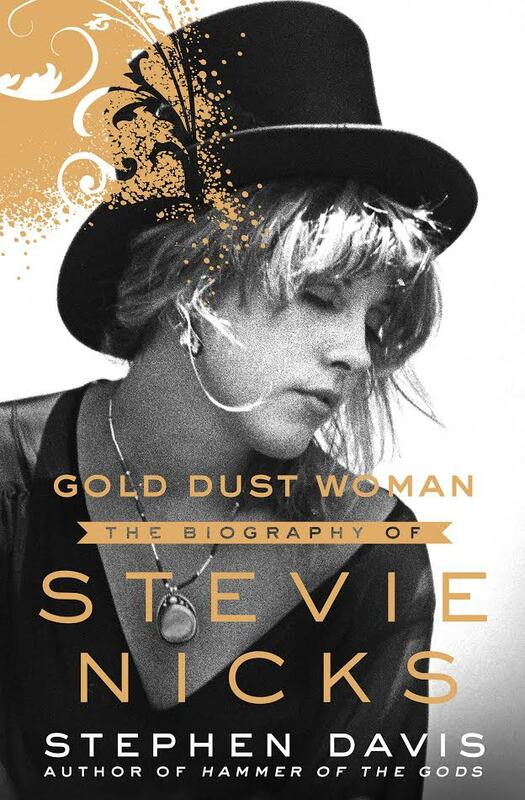 STAY THIRSTY: In your latest biography, Gold Dust Woman – The Biography of Stevie Nicks, you chronicle the life and times of a rock n’ roll goddess. Why did you pick her as the next subject in your series of books about music icons? STEPHEN DAVIS: Thirty-two years ago, in 1985, I published a book about Led Zeppelin called Hammer of the Gods, and it has been in print ever since, and also has been translated into about twenty languages. One reason for this, I think, is that the Zeppelin fans identified with that band beyond the music itself. Led Zepp had this quasi-occult mystique. The only other rock star that has this relationship with her fans is Stevie Nicks, who see her as an angel in grace and the fairy godmother of Rock. Hers is the perfectly receptive audience to try to tell her story to. STAY THIRSTY: You dedicate this biography to the fans of Stevie Nicks and to the band Fleetwood Mac, past and present, and you end your dedication with two phrases in Latin that translate as “memory and faithful” and “Not unto ourselves alone are we born.” The second phrase is a quotation from a treatise by Cicero. How did you arrive at this dedication and what does it mean to you? STEPHEN DAVIS: I’m trying to echo the communitarian spirit of the massive Rock audience, the largest audience in history if you think about it. Fleetwood Mac, Zeppelin, the Rolling Stones, etc., etc., are bands that have sold hundreds of millions of records. There are religions out there in the world that don’t have these kinds of numbers. “We are not born for ourselves alone” is a means of calling the clans together so the elders (like, me) can instruct the initiates in the lore of our tribe. STAY THIRSTY: In the epigraph of this biography, you quote four lines from W. H. Auden’s poem Hymn to St. Cecilia and you also quote Stevie Nicks. As you did in the dedication, you reference something contemporary and something classical. Why did you include these particular quotations? How do they relate to the essence of this biography and to you as a writer? STEPHEN DAVIS: Well, St. Cecelia is the patron saint of music. This epigraph calls on her for saintly muse-agency and inspiration. The Stevie Nicks quote – “Chiffon lasts forever if you take care of it” – will hopefully point the reader toward the ultimate meaning of the narrative – that a person can survive the troubles and travails of this world if you take care of yourself. STAY THIRSTY: In your Author’s Note at the end of the book, you state that this is an unauthorized biography and before your Note, you quote Stevie Nicks: “The fact is that nobody has a clue to what my life was really like.” Do you feel that you were able to capture the true soul and character of Nicks in this book? Did your research unearth the clues about her life that she believes are hidden? STEPHEN DAVIS: No biographer in their right mind would claim to capture anything about their subject other than arranging established facts to tell a story. The essence of Stevie’s life is in her music, not in a narrative. But I do think this story reveals some of the hidden currents in Stevie’s career, if not necessarily her life, which is (and always should remain) hers alone. That said, the text is full of incident and adventure – to an extent that surprised even myself. STAY THIRSTY: You also quote from the poem, When We Two Parted by Lord Byron, that reads: “If I should meet thee / After long years, How should I greet thee? – / With silence and tears.” While Lord Byron is trapped in a state of grieving over a lost love and his willingness to protect her identity with his silence, are you in fact in love with Stevie Nicks but, unlike Byron, finding solace in the telling of her story out loud? STAY THIRSTY: You have written books on some of the music greats of our age, including Bob Marley, Mick Fleetwood, Jim Morrison, Carly Simon and Miles Davis. What are the common threads that ran through their lives that allowed them to have such successful careers and to influence music for generations? STEPHEN DAVIS: Common threads: ambition, personal charisma, energy, pacts with the Devil, neuroses, swing, contractual obligations (see Pacts with the Devil). STAY THIRSTY: After spending so much of your life writing biographies, which of your subjects had the most profound impact on your life? Who would you most like to spend time with next week, if you had the chance? STEPHEN DAVIS: Only Jim Morrison’s disembodied poetics had a profound impact on me, personally. But Levon Helm took me to Arkansas. Led Zeppelin took me to California. Aerosmith took me around the world. Michael Jackson introduced me to Bubbles, his chimpanzee. Mick Fleetwood introduced me to Stevie Nicks. To answer your question, I’d love to spend time with Bob Marley, just so he’d be alive and I could hear him laugh again. He had the best laugh – ever. STAY THIRSTY: For all the Stevie Nicks fans, what are the three most important keys to understanding her, her life and her music? STEPHEN DAVIS: First, Stevie Nicks was incredibly ambitious as a young woman. Second, she believed she was on a mission to get on a stage and sing for people to make them feel good. Third, by singing about Rhiannon she was consciously taking her place in the ancient Welsh bardic tradition that is part of the romantic cultural heritage of the West. Fourth, she got tired of waiting tables wearing a Roaring Twenties flapper outfit in West Hollywood, so she joined Fleetwood Mac instead. Fifth, many people she trusted and loved either hurt or betrayed her, and she forgave (almost) all of them. STAY THIRSTY: Do you think Stevie Nicks will like your book? STEPHEN DAVIS: I don’t know, but I would not bet on it. STAY THIRSTY: Who are you thinking of writing about next? STEPHEN DAVIS: Somebody dead. Thanks for the great questions.